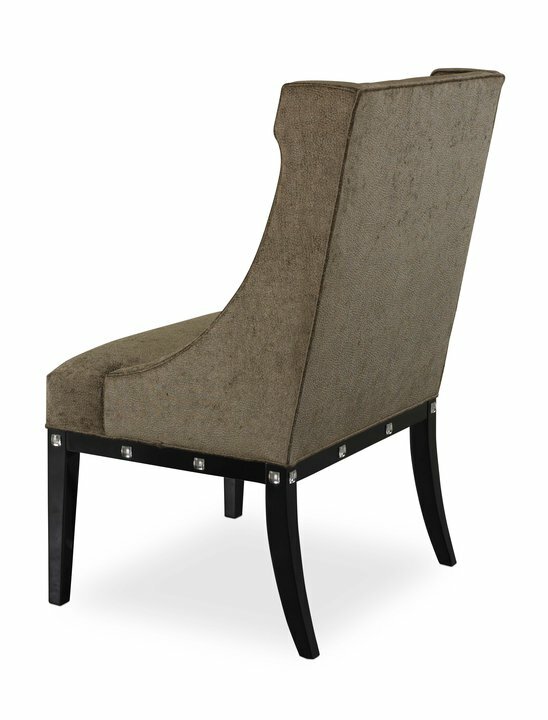 Atelier 5 is a generously scaled side chair that features well-tailored shaped wing panels, biscuit tufted inside back, a tightly upholstered seat, exposed wood seat rails, straight tapered front legs and flared back legs. The chair is dressed in a luxurious pebble textured chenille velvet having a high-low luminosity that is accentuated by the crystal accents from Swarovski® Elements, which adorn the chair. 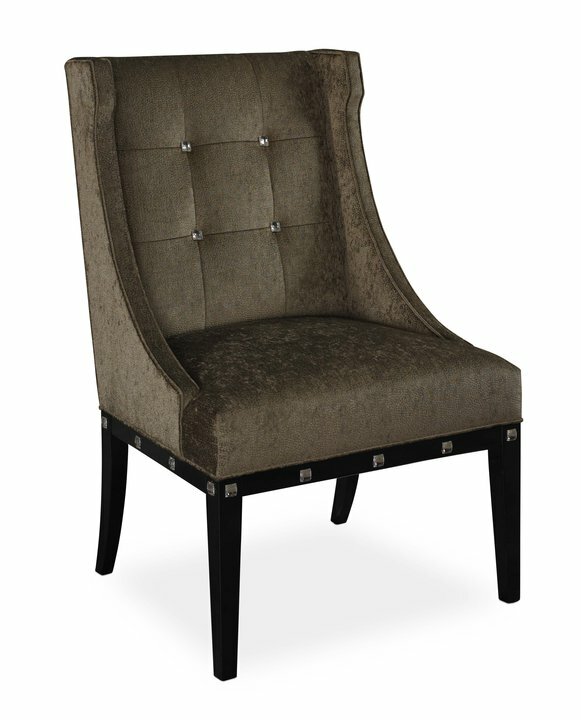 Note the beautiful clear crystal chessboard button, 20mm in size, that adorn the intersecting lines of the biscuit tufted chair back. 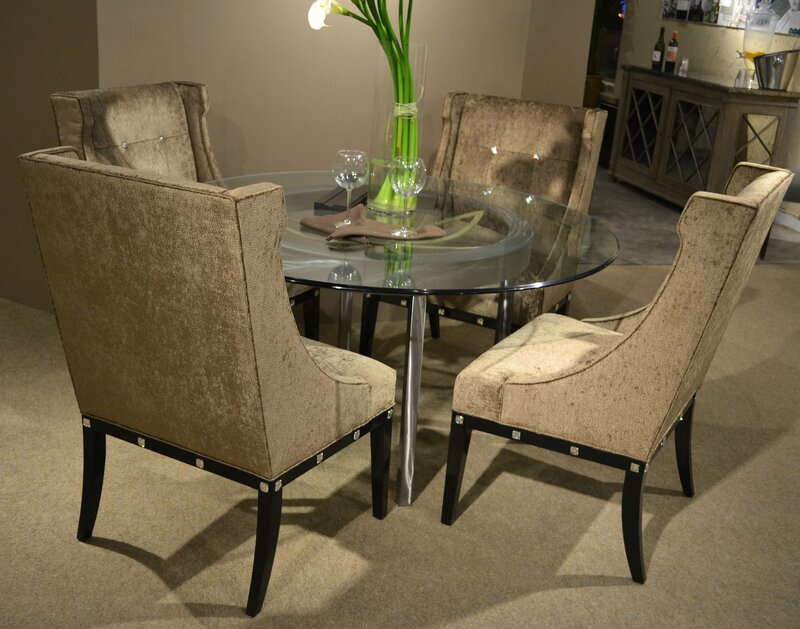 The exposed wood seat rails and chair legs are finished in a high gloss, piano quality finish called Noir. The seat rails are embellished on all four side with a total of 17 Swarovski® Elements 20mm chessboard foiled backed clear crystals.